It looks like a ton of work is being put into the upcoming skin. 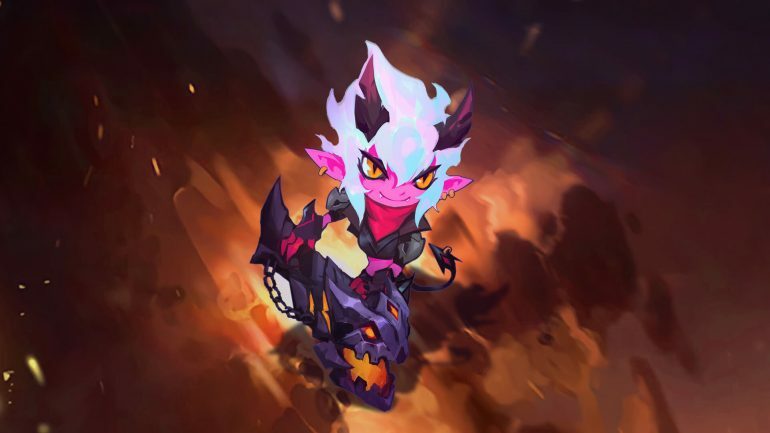 Two weeks ago, the League of Legends community voted that they wanted Little Demon Tristana to be the next skin for the Yordle Gunner. As we wait patiently for the skin to drop, Riot Games has explained the work process for the skin and revealed videos and images showing the work the team has done so far to bring the diminutive demon to life. The team has also shown some little details that they’ve added that will make this skin pop. For example, one detail that stands out is the little Devil Teemo icon that pops up above someone with her Explosive Charge. As the opponent is hit, the icon gets bigger and biggers until it begins laughing. Lastly, the team showed off a few concepts for Little Demon Tristana’s splash art. They had nine great ideas for what the art could look like, but have ultimately cut down the options to four. Which of the splash arts do you think looks the best?